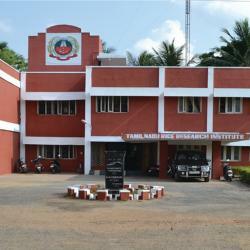 Coimbatore: In order to explore the possibility of developing a joint research project in digital agriculture, the scientist from International Rice Research Institute (IRRI), Philippines visited Tamil Nadu Agricultural University (TNAU) yesterday. The focus of the visit was to expolore the possibilities of research collaboration between both the institutes on Remote Sensing-Based Information and Insurance for Crops in Emerging Economies (RIICE) and other international agriculture research initiatives. Tri D Setiyono, Cluster Leader, Geospatial Science & Modeling, IRRI and Dr J S Prasad, IRRI Scientist (Retd) held a meeting with scientists from various departments of TNAU. A seminar on “Crop monitoring strategies through remote sensing and crop modeling” was conducted by Tri Setiyono. He also interacted with students and scientists.